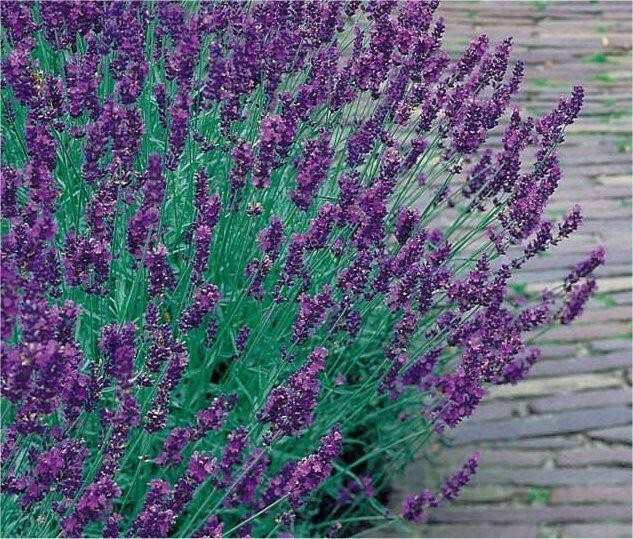 Dense spikes of fragrant, pale to deep purple summer flowers and grey-green foliage. 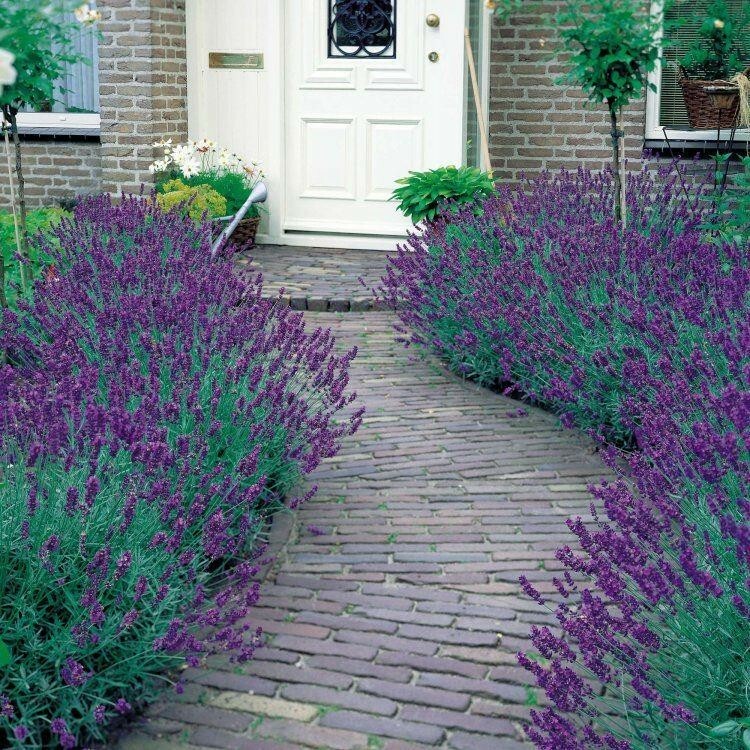 This English lavender is perfect for a sunny, well-drained border. The fragrant flower-spikes, highly attractive to bees and other beneficial insects, associate well with grey foliage perennials. 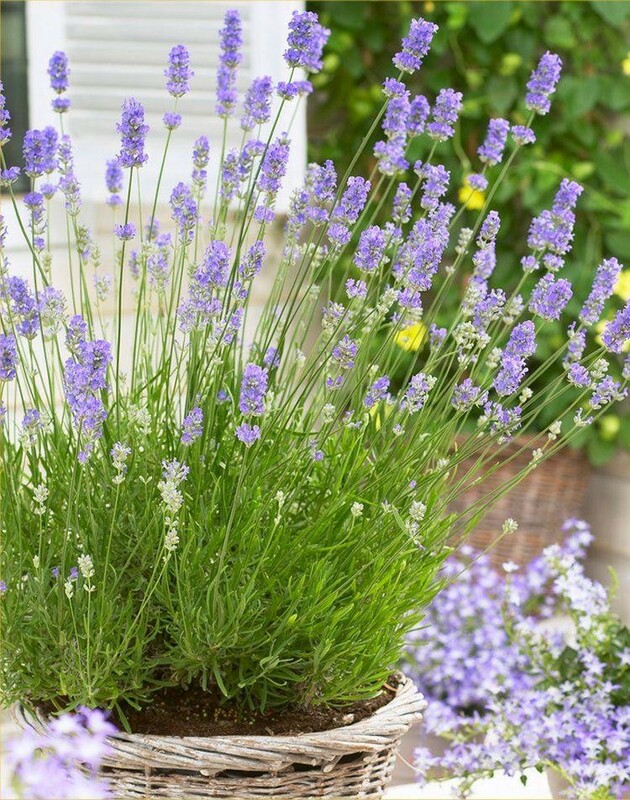 The wonderful foliage and summer flowers lend themselves to many situations within the garden or courtyard, either in the bowl, tub, herb garden, or just to create that fragrant spot for everybody's enjoyment. 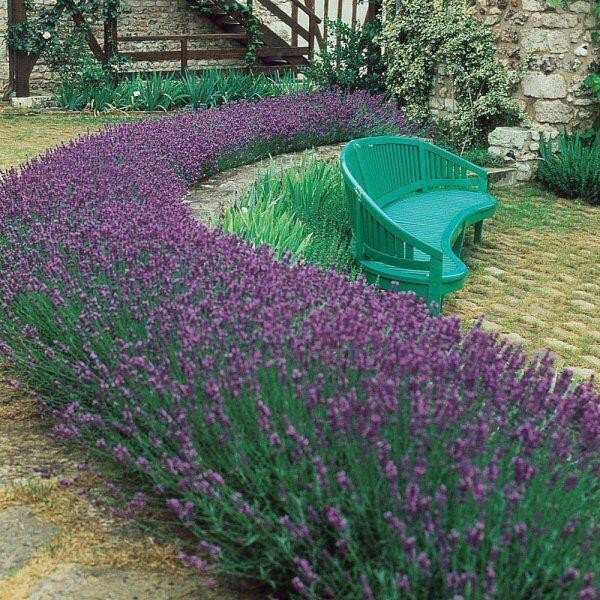 Superb for low growing scented lavender hedge or ground cover. Eventual height and spread if left unpruned is up to 90cm x 90cm (3ft). Top Quality bushy plants supplied in approx 1-2 Litre containers. This plant is available all year round.